Ružinov is currently one of the most popular localities in Bratislava. Not only for its excellent facilities and connection to the city center, but also because of its peacefull atmosphere, plenty of greenery and many opportunities to spend time with your family and friends. NUPPU grows with you – a project that creates a space full of energy, ideas, and life-long friendships. It is destined to become the new blossoming center of Ružinov - hence the name NUPPU, which means flower bud in Finnish. Combining pulsating city life with your tranquil historical home, this renovated residential building delivers contemporary urban living to Dulovo Námestie in Ružinov. 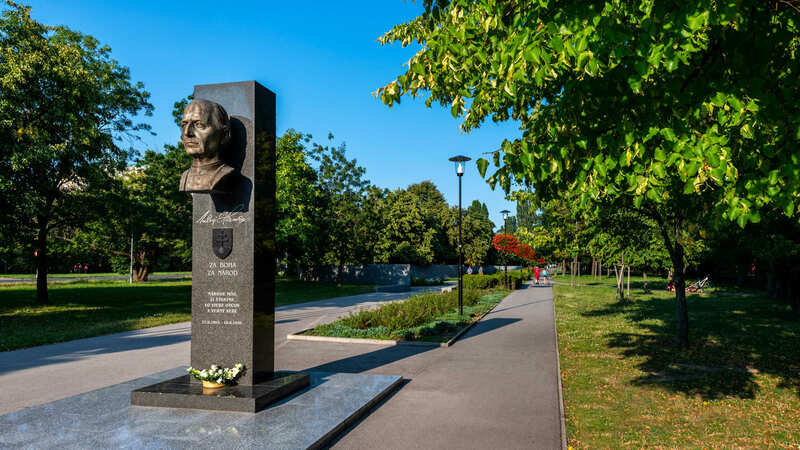 Ružinov is one of the most popular Bratislava boroughs due to its abundant green spaces, parks, and popular Štrkovec and Ružinovské lakes, the shorelines of which have numerous rest and relaxation options. Ružinov is ringed by the major Bajkalská and Prievozská roads, and the area has excellent connections to the motorway bypass and direct routes to the neighbouring city centre. Numerous public transport options are available, and the national/international bus station is located in the borough. Ružinov abounds with active and passive sporting opportunities. Winter brings ice skating and curling at Vladimír Dzurilla ice rink, with year-round options including indoor climbing, fitness centre and sports clubs. Štrkovec lake’s all-season running track is the ideal place to clear your mind while stretching your legs.